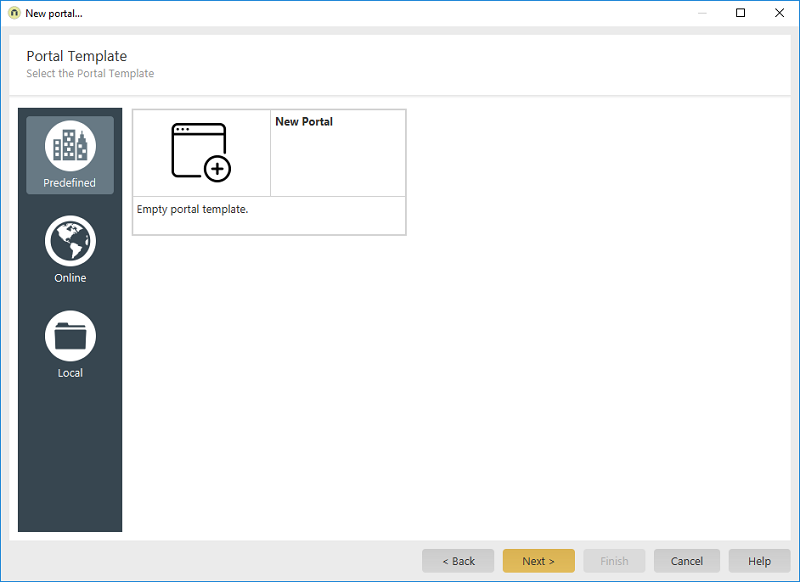 Start module Create a new portal General settings / Click on "Next"
Start module File menu / New portal General settings / Click on "Next"
Portal menu / Import portal General settings / Click on "Next"
Portal Builder General settings / Click on "Next"
Select a template on the right. This will create an empty portal without example data. 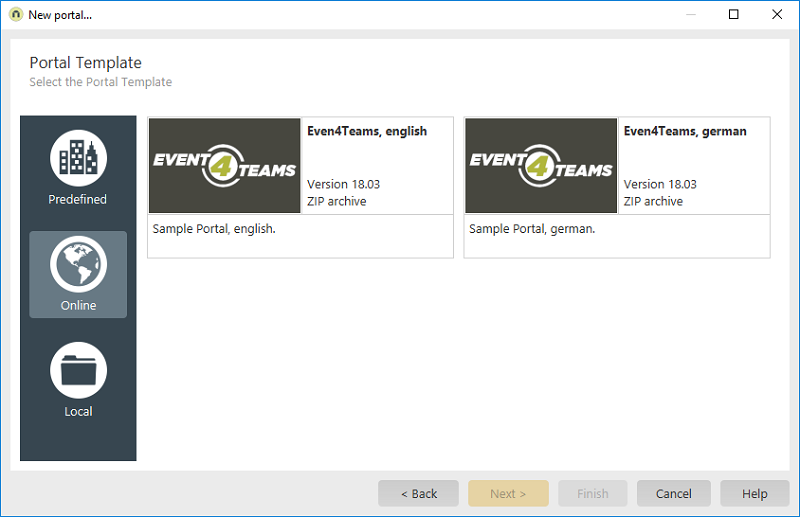 Here, you can create a new portal based on the example portal "Event4Teams" - either in German or in English. This portal contains numerous applications with example data. 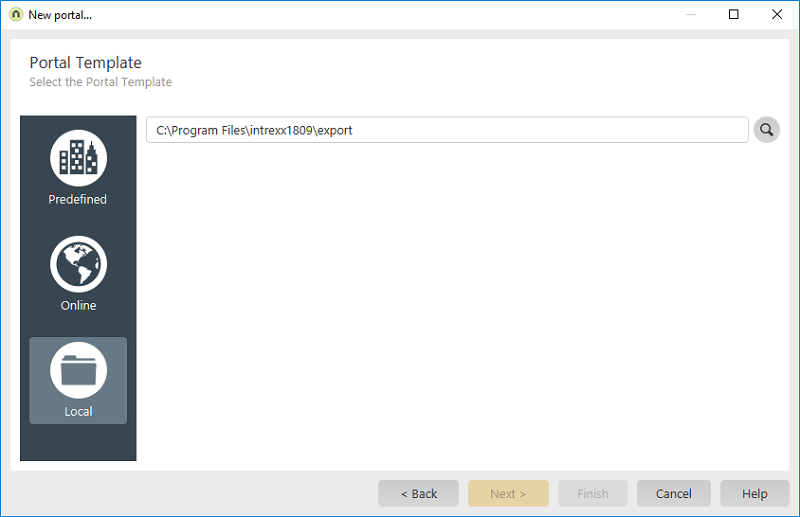 Browse Opens a dialog where a portal export file can be selected.